Duet worth of sin. One row is sweet, seductive pear and currant stuffing seduces another.This proposal is a pair of chocolate - thoughtful and romantic currant pear. The combination of so many different flavors confirms the principle that opposites attract.Currant and pear is a fruit, which met in the garden and would be a sin not to taste them. The combination of two flavors, without stirring, for one plate to offer absolutely unique, light and fun. One duo provides pleasure that meet the required purchase to date two different chocolate bars. It is an option for those who are looking for variety and fun, and are open to new taste sensations. You can share the fruit Particle with a loved one, a change to try a second time, once one filling. With the new packaging, chocolate fruit longer retain their unique flavor. It is worth to know the perfect pair closer, eventually were created out of love and pleasure. An excuse to get to know our latest offers may be coming Valentine's Day. Which of the pairs selected for you on the Celebration of Love? Sense and Sensibility, pear flavor - blackcurrant, spontaneous and wild berry and strawberry with plum - apple a few traditionalists? Or try any of them? 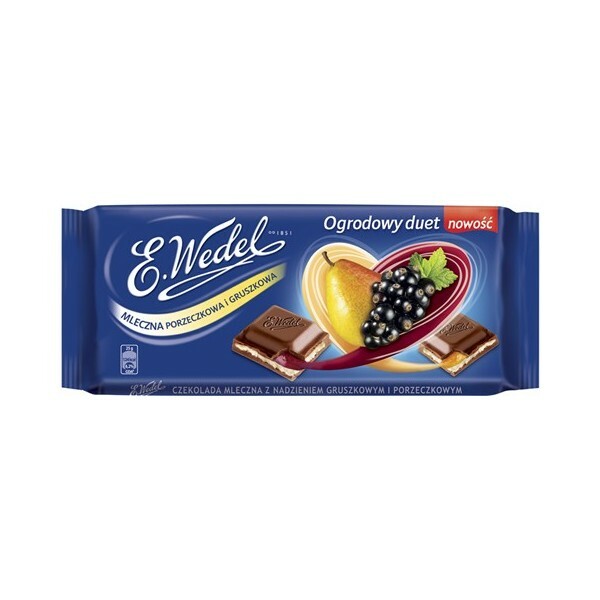 Play the game for two fruit of Wedel and his new stuffed chocolate flavors. Merged in pairs for the love of taste and harmony Ideally so that one plate to meet the dual needs of chocolate lovers. 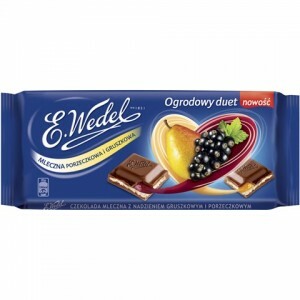 Chocolate duets can be a gift for Valentine's Day, but not only, because Wedel pair of us are on offer all year round. Fall in love at first taste!